OK, I’ve decided to change the direction of my blog. Big move I know but I think it’s going to be best for me AND you. 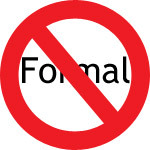 Well, I’ve decided to stop my formal posts giving you blogging tips as often as I can. Well let’s be honest, you can get blogging tips from almost anywhere online. I want to make a difference with my blog and help as many people as they can earn a fulltime living online. Heck, I’ve been doing it for 6 years so it can’t be that hard because I’m certainly nothing special I can assure you. Just a normal guy working from home. So what’s going to be new? Well, rather than try and teach you how to blog, I feel I should teach what has been making the majority of my money and that is site flipping, specifically blog flipping. Well the answer is both yes and no. BlogFlipz shows you exactly how to create blogs and flip them. What I’m going to concentrate on my blog is giving you lots more than just tips. I’ll be sharing real life examples of my own blog flips and ones I notice on Flippa. We’ll be examining what is working and what isn’t working any longer. I’ll also be sharing other ways of making money online by using WordPress because there is so much more than blog flipping and being “a blogger”. 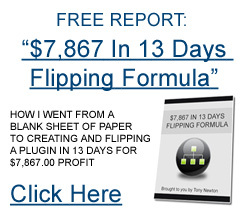 I’m making this big change for one reason only…..To Help YOU Make Money From Blog Flipping and WordPress. As mentioned in the title of this post, I’m also throwing formal out of the window. I’m going to be showing my true personality from now on, so there will be no formal posts with general tips. It’s all going to be juicy meat and potatoes from now on! So I hope you stick with me and enjoy what we are both about to embark on. P.S. – If you want to know what REALLY inspired this change….I read David Walker’s Blog Not Slog Breakthrough guide. Sounds great Tony. I am a WP freak too and look forward to hanging on for the ride. Best of luck with the business format change. The change is going to suit everyone. Thanks for your comment, lots to come! I’m new to the site and working with wordpress. So interesting to see where you go with this. good luck.